G.N. 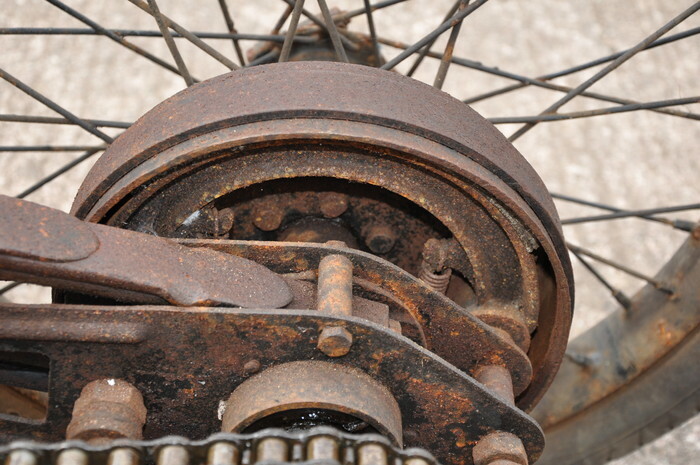 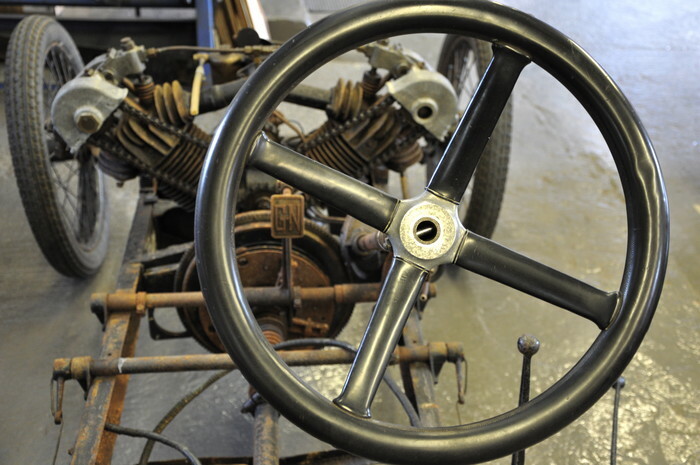 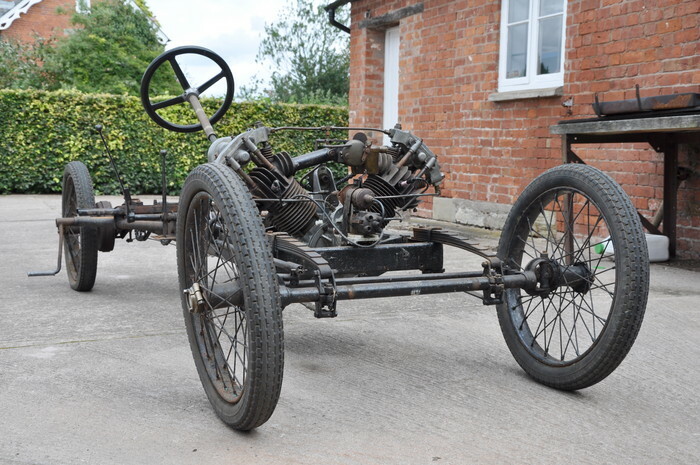 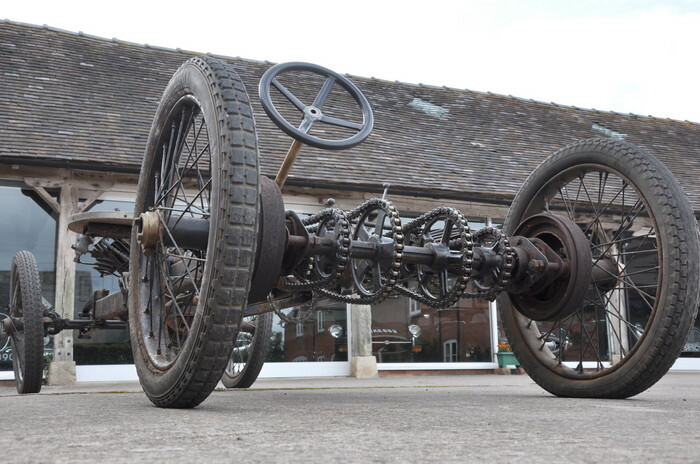 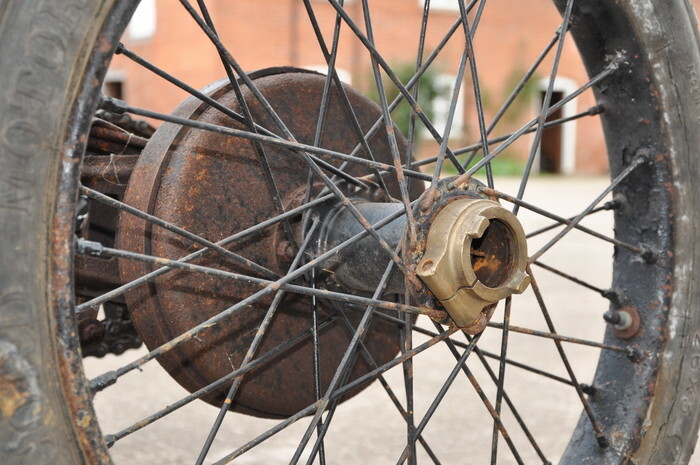 were arguably the most successful British cyclecar manufacturer from 1910 to 1922. 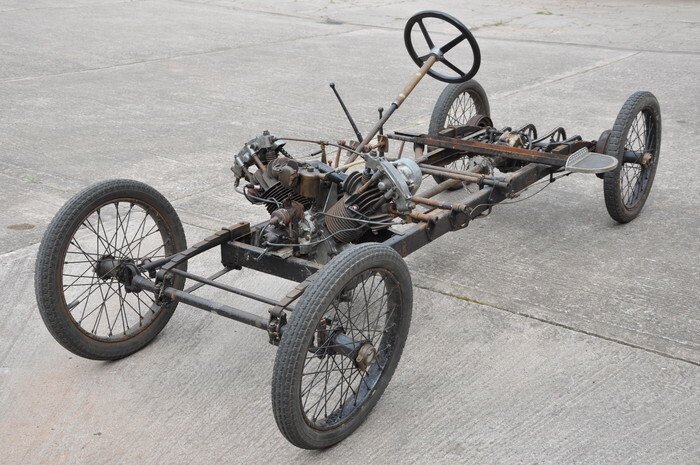 In 1922 they attempted to produce a more family friendly light car which ultimately lead to Godfrey and Nash leaving, the latter founding Frazer Nash Ltd the same year. 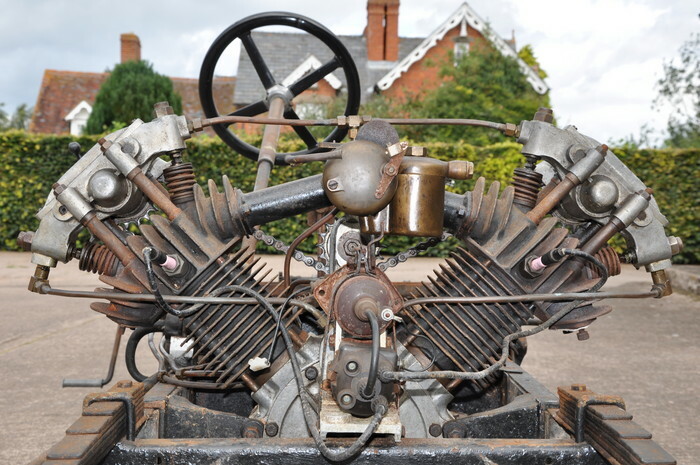 The Vitesse was the most powerful model offered using their own 1086 cc 90 degree vee twin. 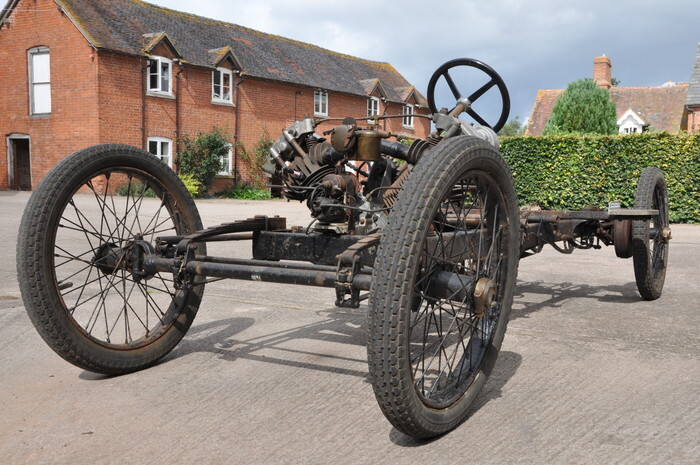 All things being relative, the cars had good low down torque, light steering and excellent handling and were, above all, good value and cheap to run. 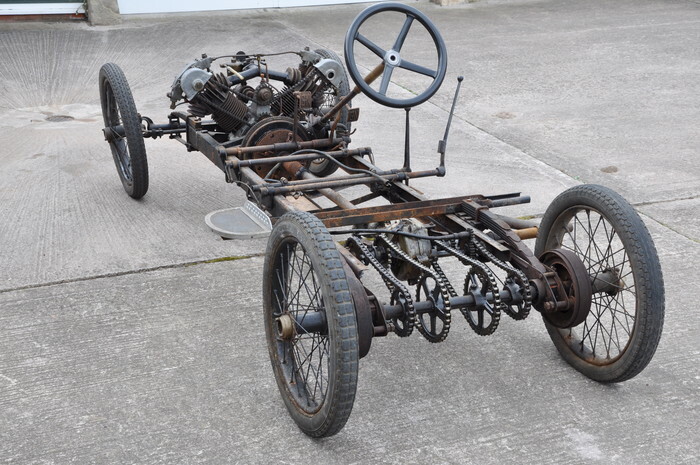 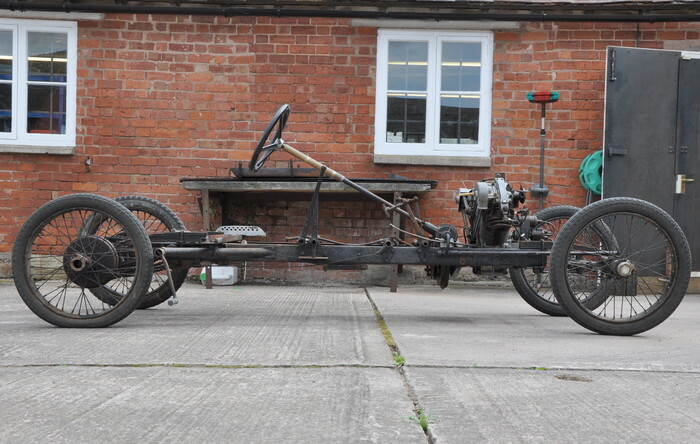 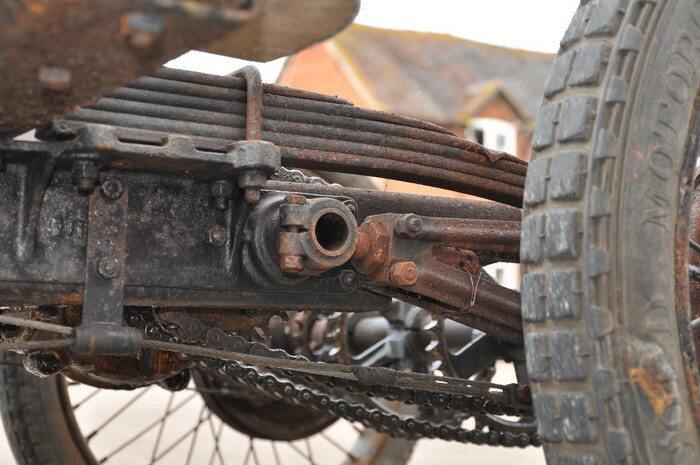 Whilst earlier models employed ash chassis, belt drive and wire and and bobbin steering, the later cars had a light steel chassis, a conventional steering box and the unique chain drive solid back axle with a shaft driven bevel box and counter shaft that was carried over into the Frazer Nash. 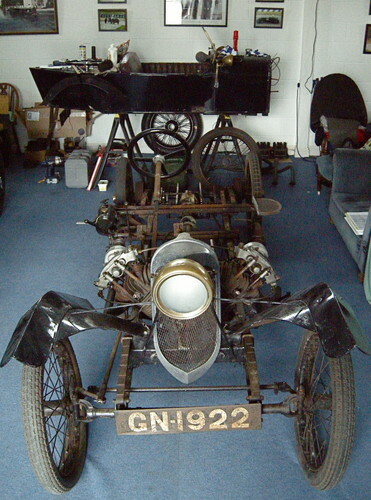 GN 1922 is in a quite remarkable condition considering it has been off the road for forty-five years. 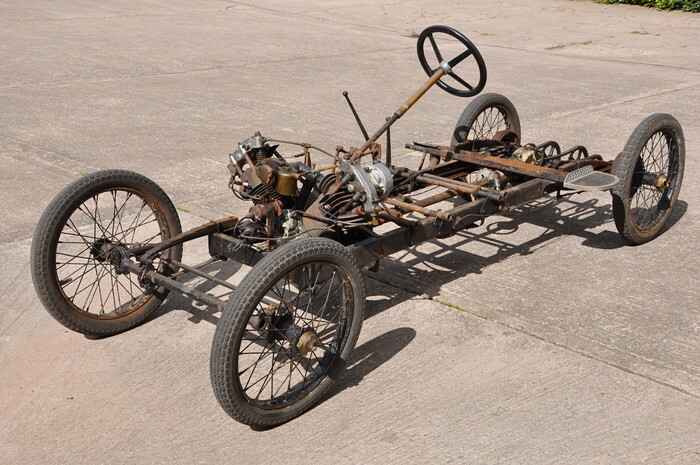 It is being re-commissioned by us using minimal intervention to achieve a reliable, useable road car in accordance with the owner's wishes.